Pfizer Inc. (NYSE:PFE) is looking “toward deals with the potential for creating value in the near term,” CEO Ian Read said in a conference call with analysts, stressing that the company’s goal is towards deals that will immediately help in increasing earnings per share rather than new assets that require long-term drug development. The new focus follows the company’s thrust in November last year, when Pfizer obtained license from German pharmaceutical firm Merck KGaA by paying an upfront of $850 million of a $2.9 billion development and marketing agreement for an oncology drug that catalyze an offensive response of the immune system against tumors, one of the hottest areas in the field of cancer treatment. According to Read, Pfizer Inc. (NYSE:PFE)’s “research pipeline, middle stage to late stage, is strong,” and as such, he is seeking to direct capital towards “opportunities to accelerate EPS growth.” He added that intellectual properties that can add huge value to the company is a potential acquisition. The pharmaceutical firm is reportedly afloat with a cash hoard of as much as $33 billion, although investors are not as optimistic on account of a lower revenue estimates for this year. Fourth quarter results indicated a 52 percent decline in net income at $1.23 billion, down from $2.57 billion the previous year. 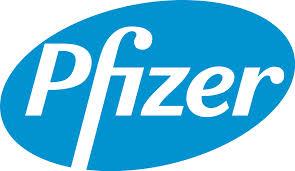 Pfizer Inc. (NYSE:PFE) also expects an earnings per share of $2 to $2.10, as well as revenue of $44.5 billion to $46.5 billion for 2015, as against $49.5 billion of revenue for 2014. The strength of the U.S. dollar is seen to account for the decline in revenue for the quarter, as much as 3.3 percent to $13.2 billion, while foreign exchange accounted for 3 percent at $450 million. Way back in 2010, when the drugmaker’s acquired Wyeth Limited (NSE:WYETH) for roughly $60 billion, sales peaked at $67.1 billion. Excluding the adverse effects of the international currency markets, Pfizer Inc. (NYSE:PFE) is also struggling with the loss of some of its patents. Exclusivity rights on some of its top products, such as Celebrex and Lipitor, will expire soon, and sales for the said products have declined by 31 percent and 6 percent, respectively.